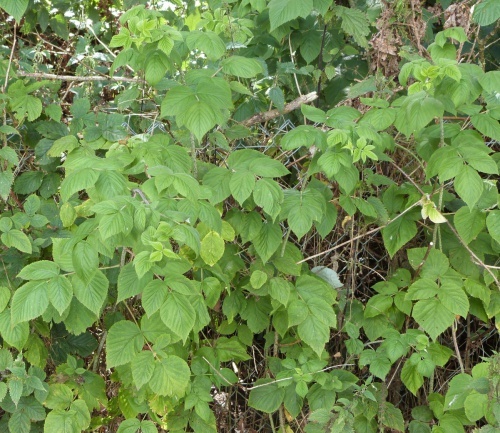 Tall suckering plant to 1.5 metres. 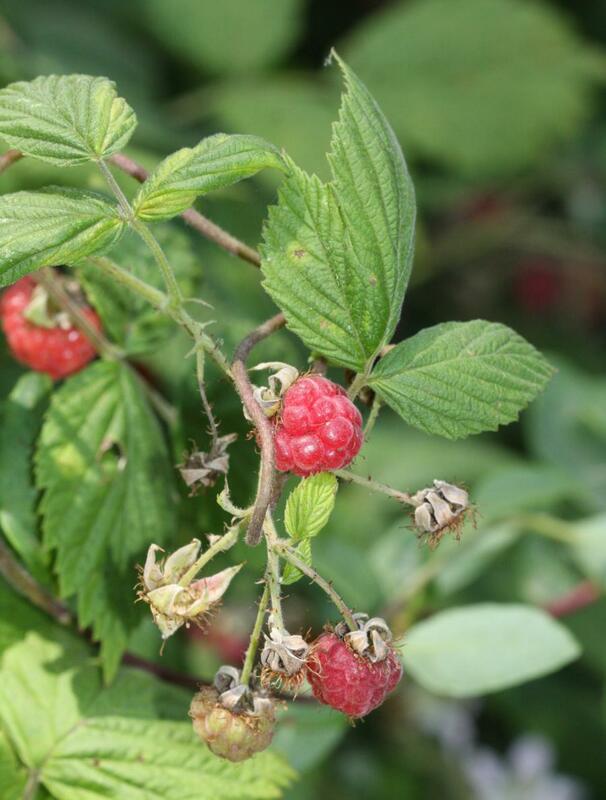 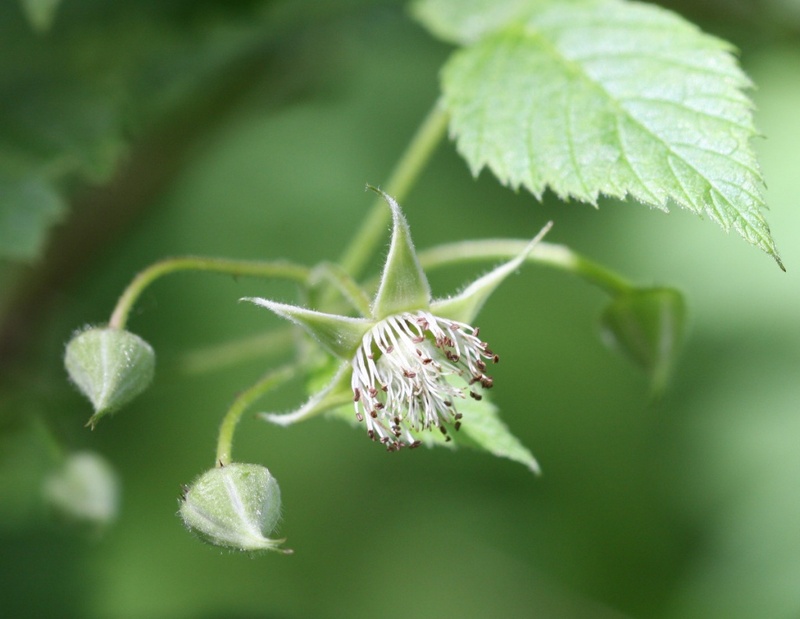 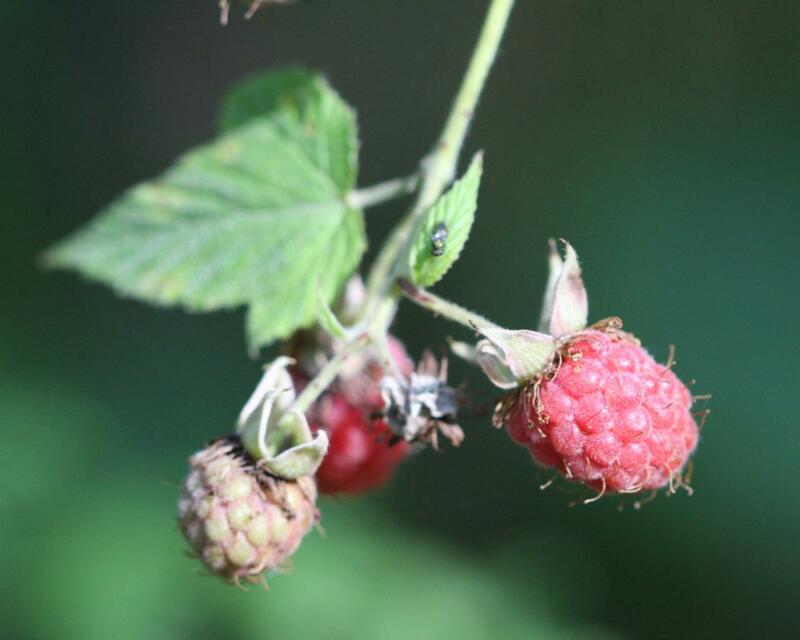 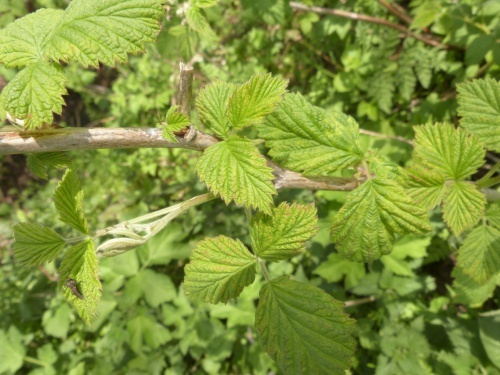 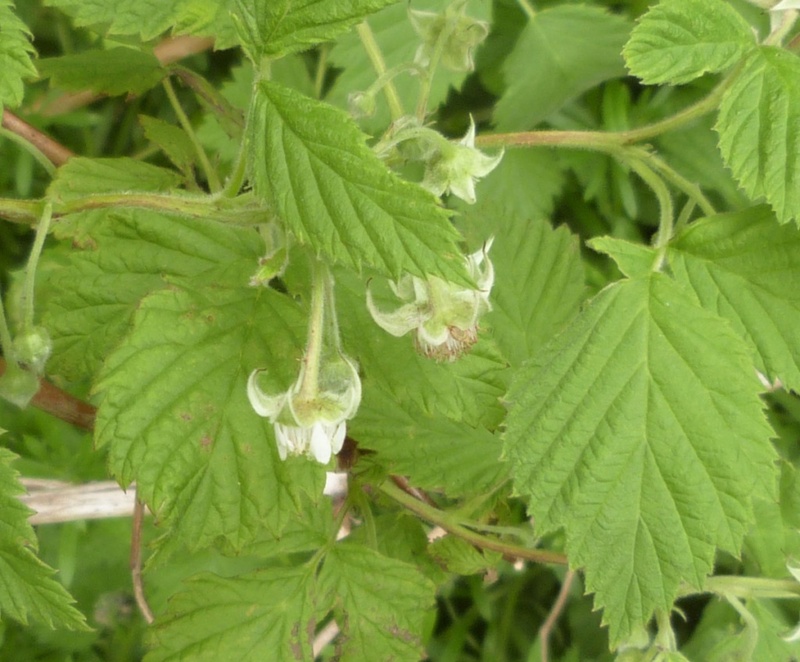 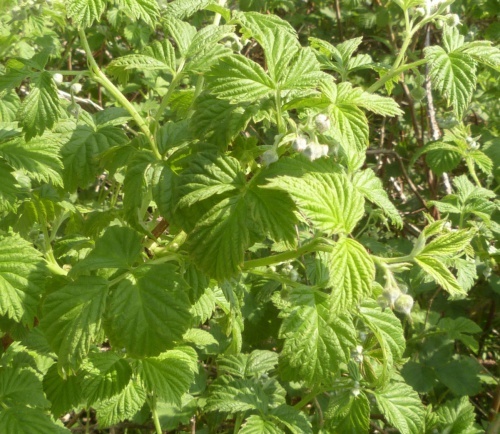 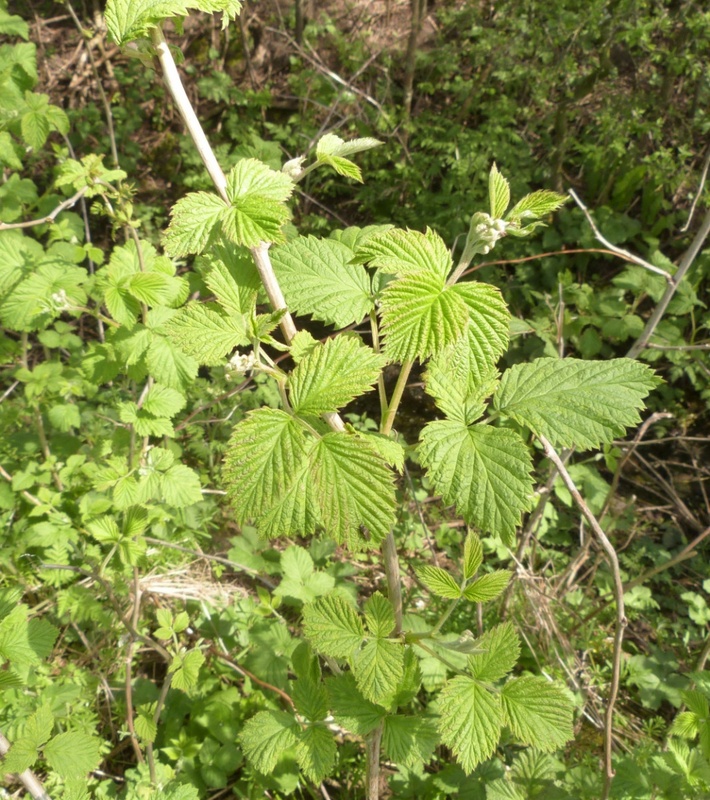 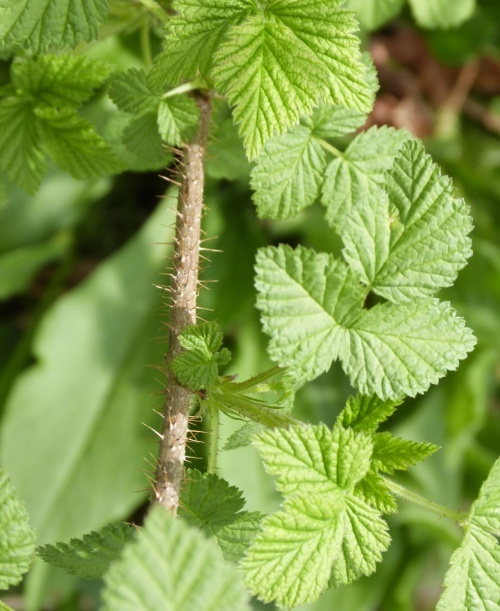 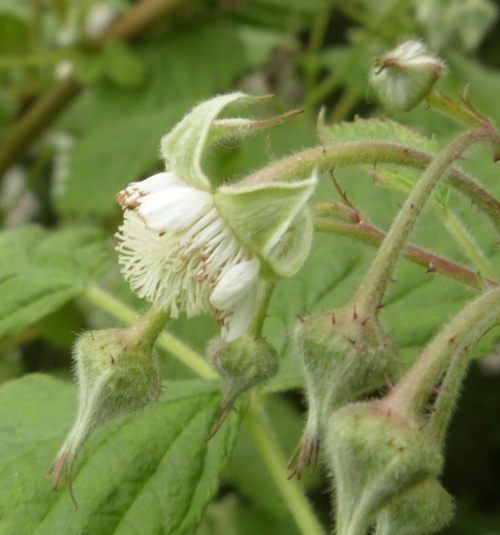 Stems unbranched with weak prickles and a whitish bloom when young. 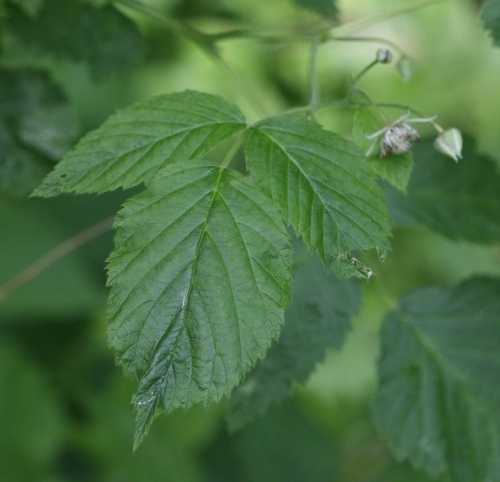 Leaves pinnate, leaflets pinnate 5 to 7 oval, toothed, whitish beneath. Flowers white 9 to 11 mm long nodding in small clusters. Fruit red edible. 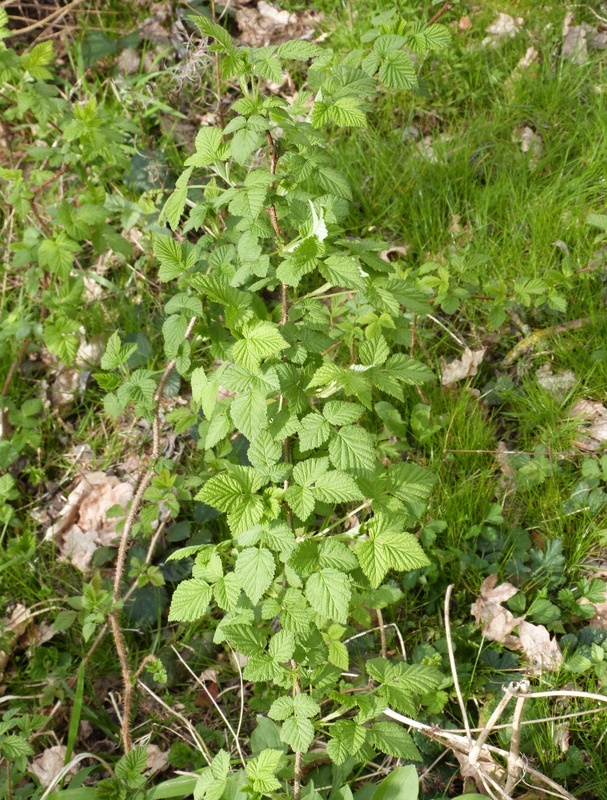 Open woodland, commons, embankments, heaths. 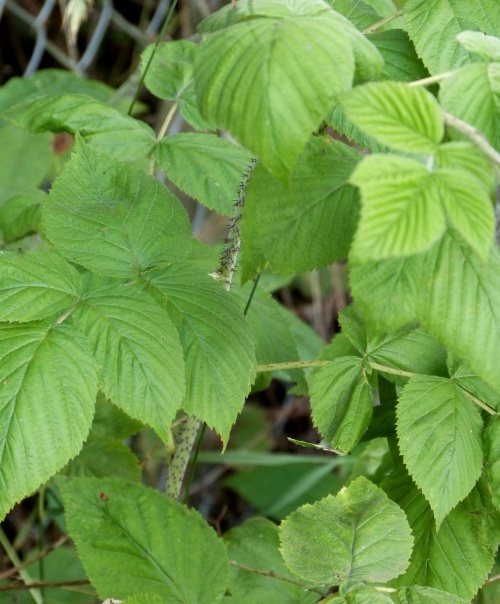 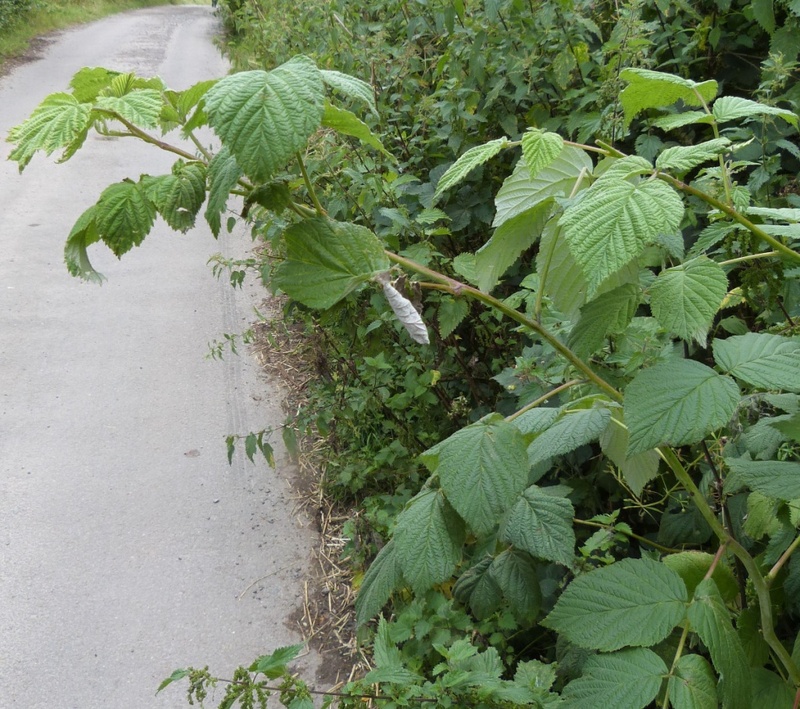 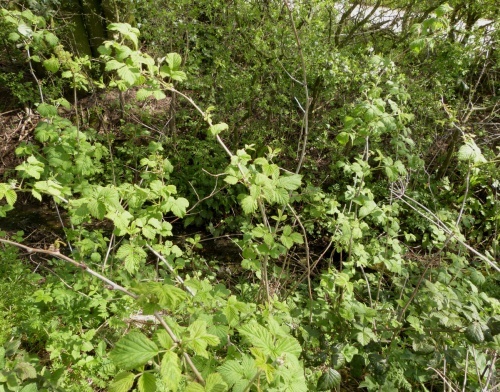 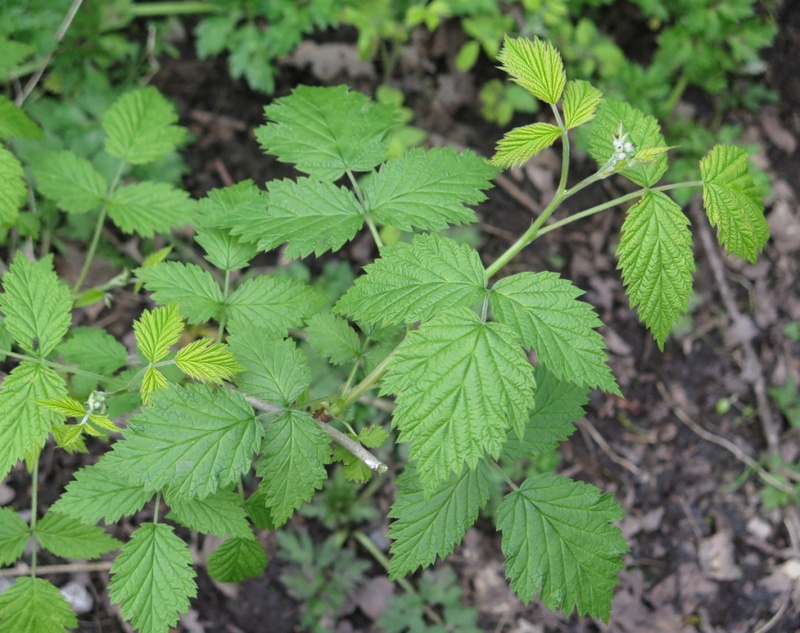 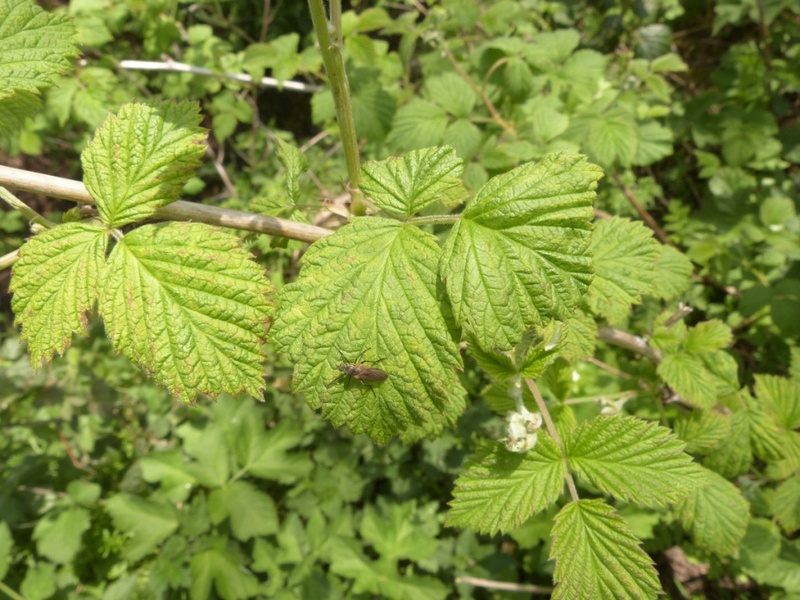 Surprisingly frequent in Leicestershire and Rutland as a wild plant. In the 1979 Flora survey of Leicestershire it was found in 235 of the 617 tetrads.